The inscription reads "Erected to Commemorate the landing in India of their Imperial Majesties King George V and Queen Mary on the Second of December MCMXI. Wonder why the Gateway of India is called so. It is pretty simple. 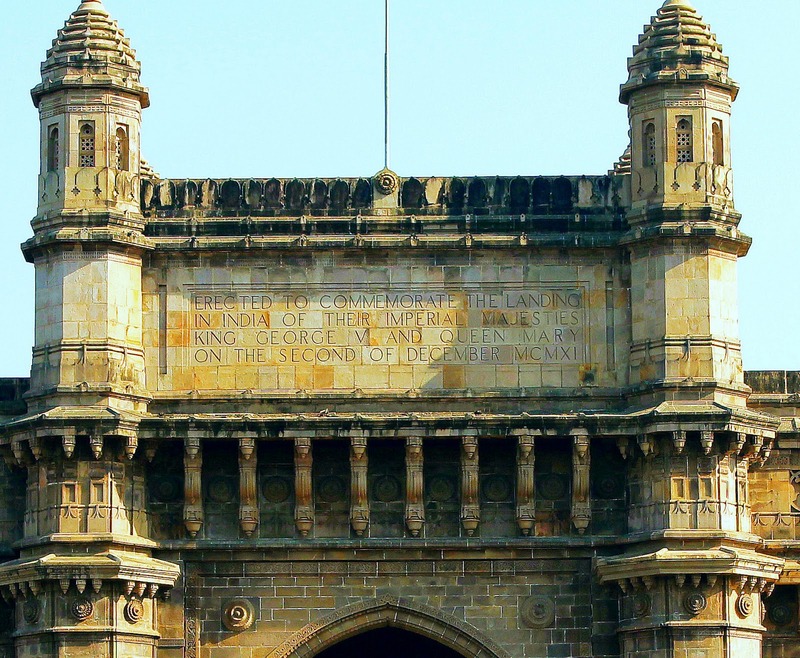 This was the "Gateway" to any governors or Viceroys to land in Mumbai, India. 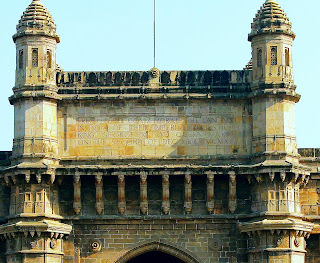 Its Architecture had traits of Roman Triumphant Archs as well as it is a perfect blend of Hindi-Muslim styles of architecture.The Gateway has four turrets and has intricate designs of lattice work. The cost of its making was 2.1 lakhs then. Also the last of British troops and Sails had ironically set out from the Gateway of India on February 2nd, 1948. Dating back then ironically it was the significance of British Majestic Powers, and today is a hotspot for tourist attractions and a significant pride of Mumbaikars. All of us agree we have seen the Gateway, probably even taken a ferry, but has any of us ever wondered why actually was it built, named so, what was inscribed, why are we not allowed "inside" of the Gateway. What lacks probably today is the "want to know" the "inquisitiveness", about your own homeland!